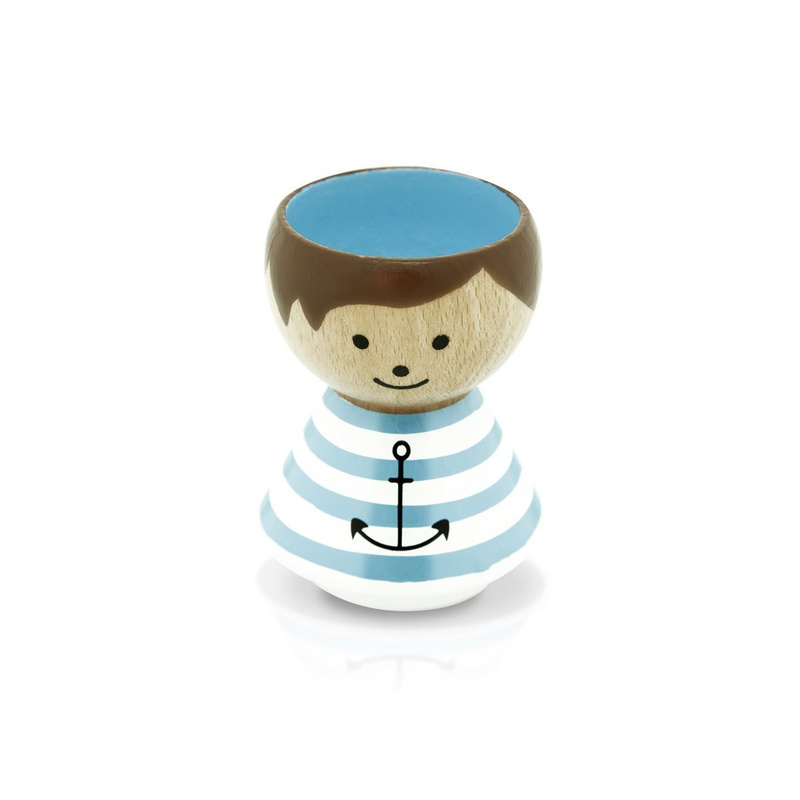 The Boy Sailor Egg Cup: an original creation by the Lucie Kaas brand. 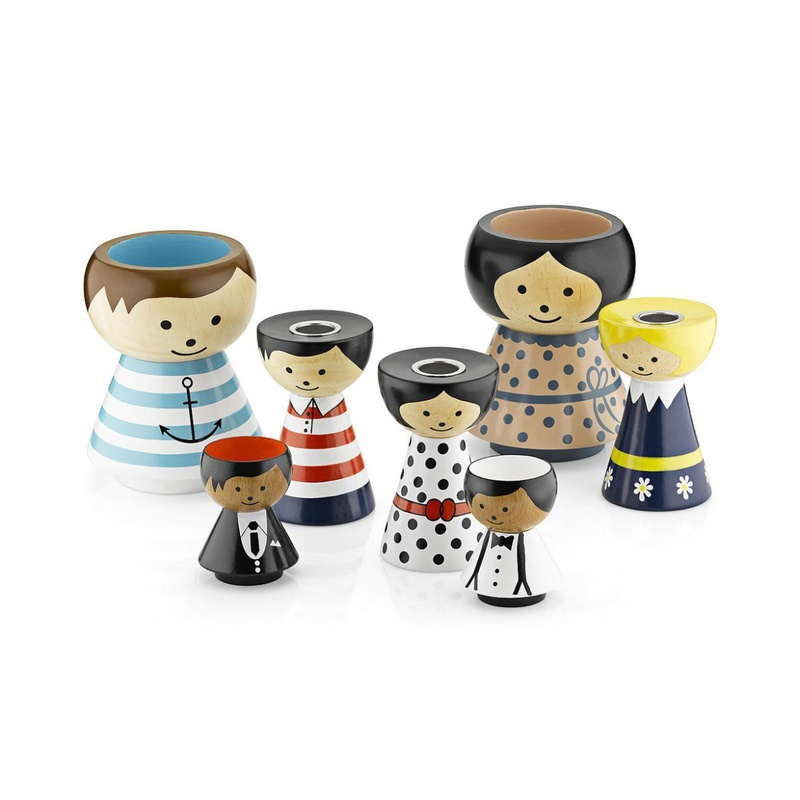 The Boy Sailor egg cup is an unusual and adorable piece by Lucie Kaas, the Danish company that has attracted great interest from many international designers despite its youth, what with its remarkable originality. In the pieces conceived by Lucie Kaas, wood plays a real starring role, no matter how big the piece is. 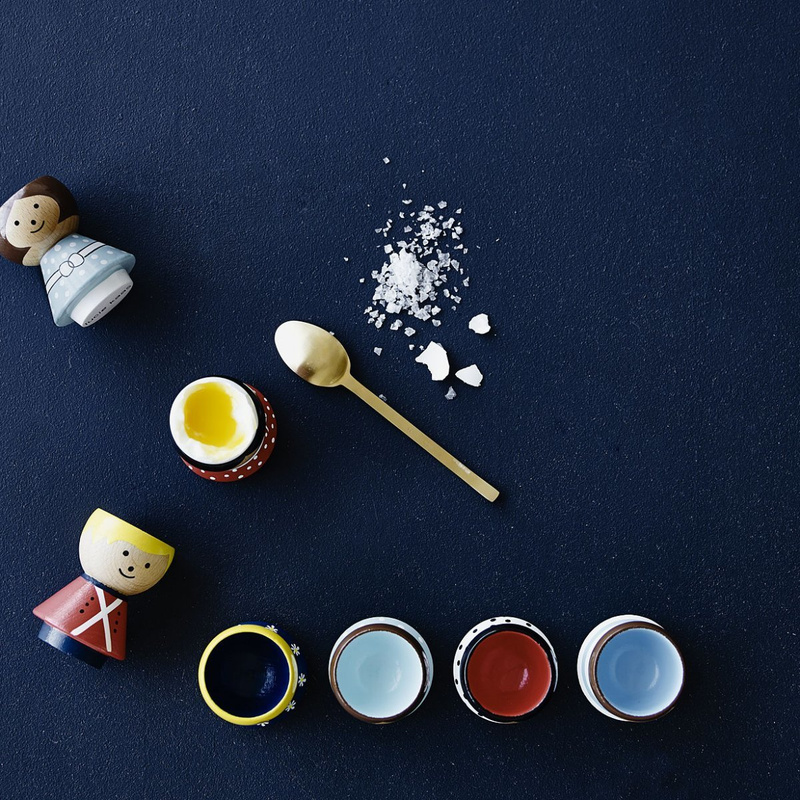 The Creative Director of Lucie Kaas, Esben Gravlev Rasmussen, has created an entire collection dedicated to egg cups, offering very classic items that have been revamped with a modern, witty and picturesque edge. 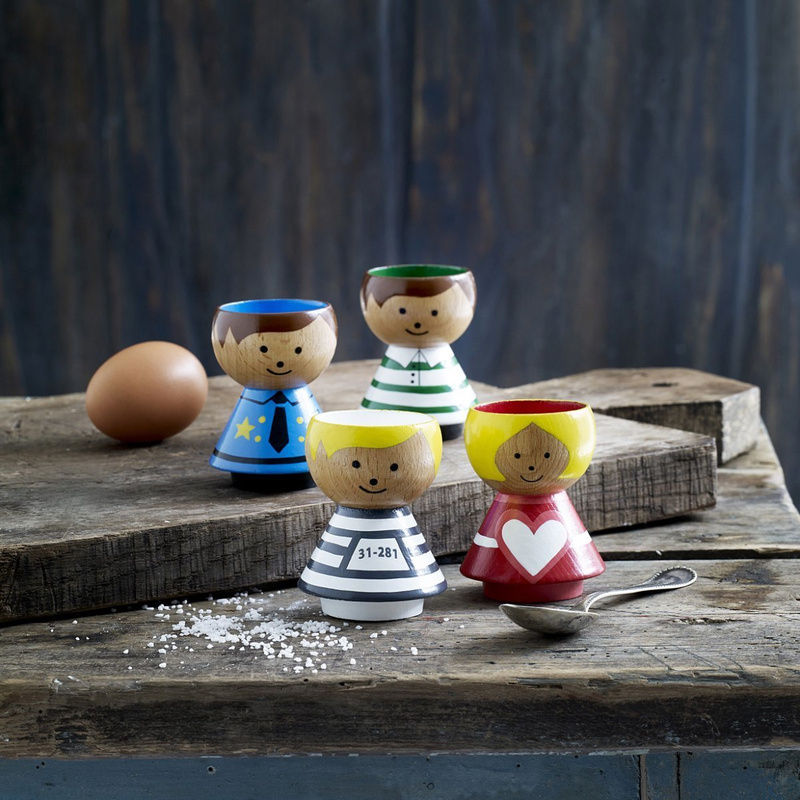 Each egg cup by Lucie Kaas is a different character, and the Sailor Boy Egg Cup depicts a young and cute sailor, with the classic t-shirt with horizontal white and blue stripes and the ubiquitous sailor anchor symbol. 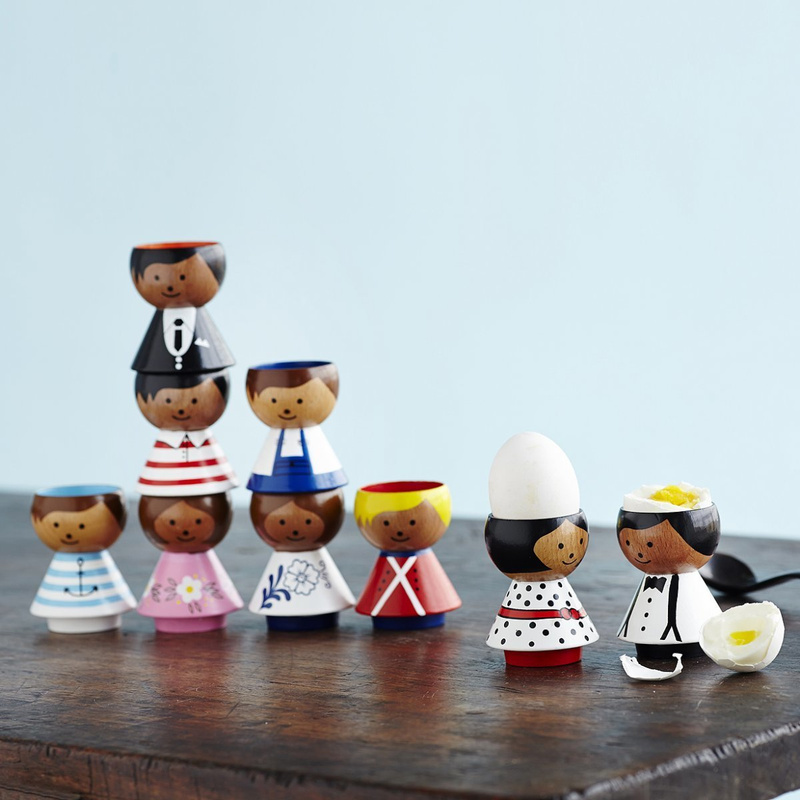 A piece like this will grab your eye right away and it is even cuter when holding up an egg. 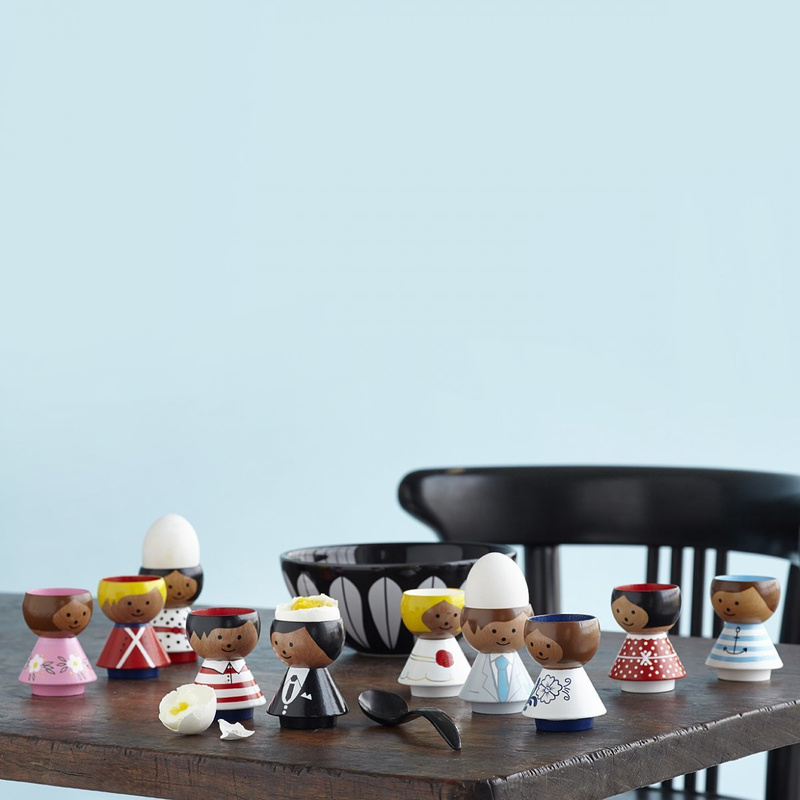 How should you show off the Boy Sailor Egg Cup? The possibilities are endless! 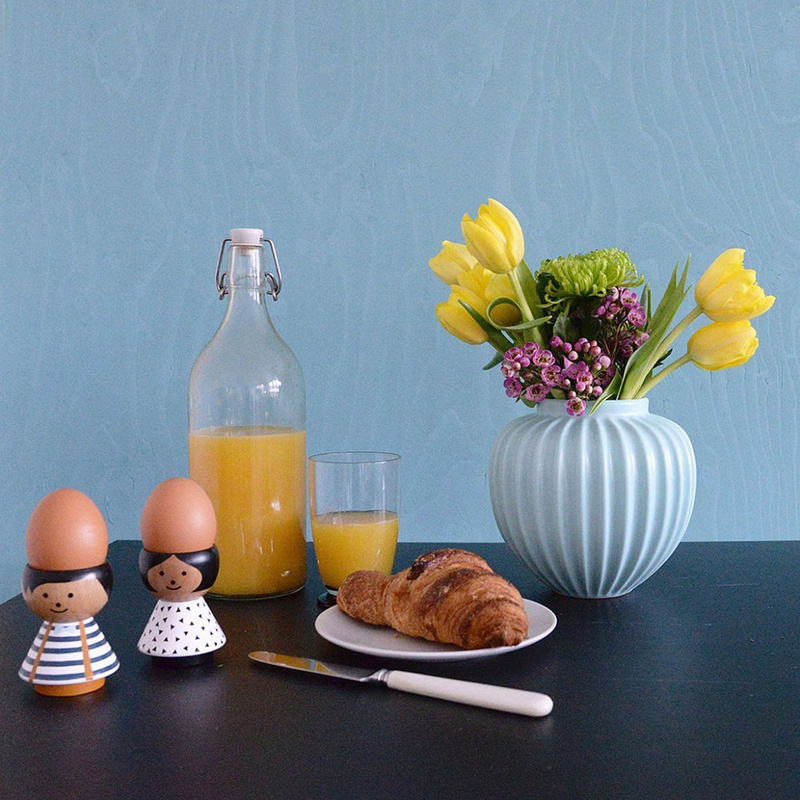 Traditionally, the egg cup is a kitchen accessory, so it is in these contexts that it will go best. But this creation offers up a modern and unique interior design. 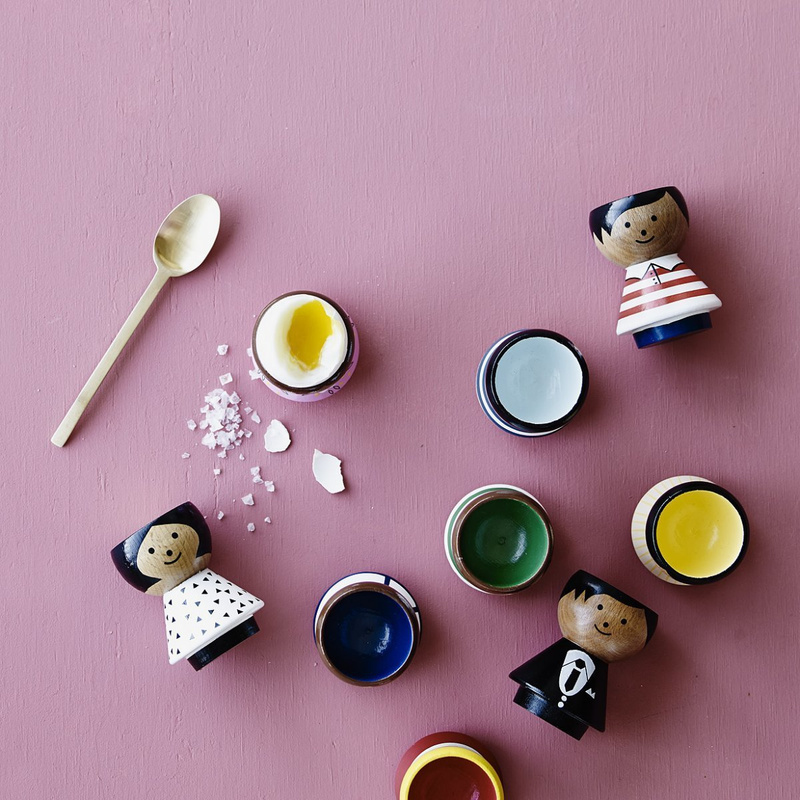 It can even be placed in the living room, for example, or even in your kids' bedrooms as the piece's vibrant colours will put a smile on their faces!